Watch out! The Timberline twins are on the loose. 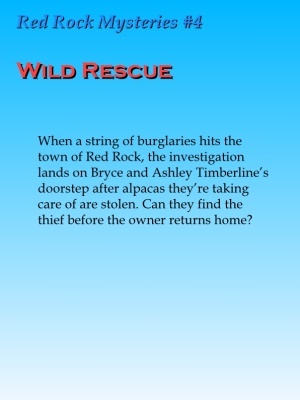 Bryce and Ashley are ATV-riding tweens from Colorado who unearth action-packed mystery and adventure wherever they go. From clearing the name of a local miscreant to thwarting a gold-stealing heist, the twins' growing faith and the strong example of their parents guide them through even the most life-threatening situations. With the trademark page-turner style used by Jerry Jenkins and Chris Fabry in the Left Behind: The Kids series, these fast-paced books will keep even reluctant readers on the edge of their seats. Perfect for ages 8-12. Now available in eBook format from many of the sellers listed for each book.